What it means is we are trying to optimize every object on our website to be as good as possible, to be as clear and useful as possible. This starts by optimizing your titles. With the titles, always keep in mind you should write your titles so that the people who see these titles are able to click or are knowing what you're going to offer to them. If they see a good title they are much more likely to click on it. Also, if Google finds a title that has got the keyword inside and it is written quite well, Google likes that as well. You shouldn't optimize for Google, you should always optimize for the user. 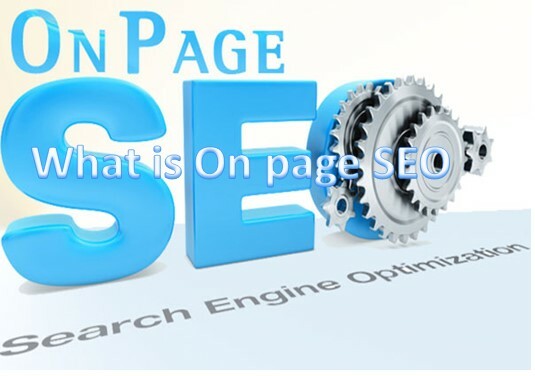 So on page Optimization is all about optimizing the objects on a website. this is also On Page Optimization and then making a nice content structure. Writing good content, putting some other objects on your website like optimizing media, optimizing images, also implementing something like schema.org or Markup Language would also be On Page Optimization. The technical SEO part would be all the HTTP things so all the server side stuff. If you talk about technical things that would be like errors that come from the server stuff like that.